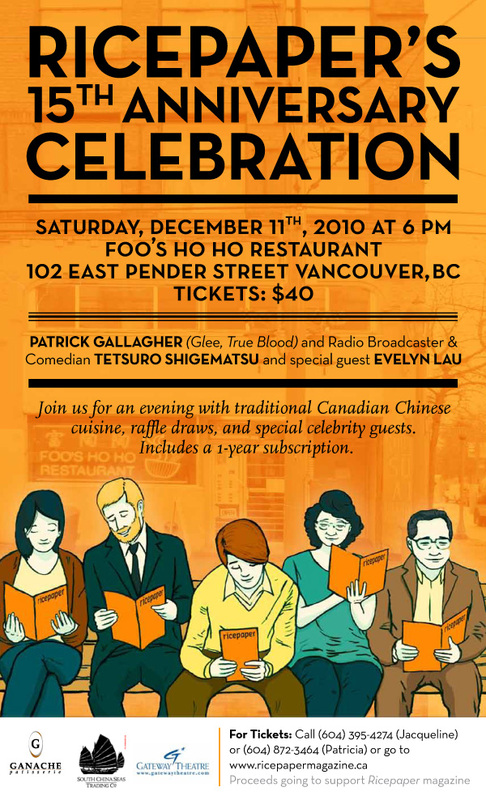 Ricepaper magazine, the Asian Canadian Writers’ Workshop and Friends of Foo’s Ho Ho cordially invite you to participate in the celebration of Ricepaper‘s milestone 15th anniversary at Foo’s Ho Ho Restaurant, the oldest surviving Chinese restaurant in historic Chinatown, for a taste of pioneer-style Chinese food. 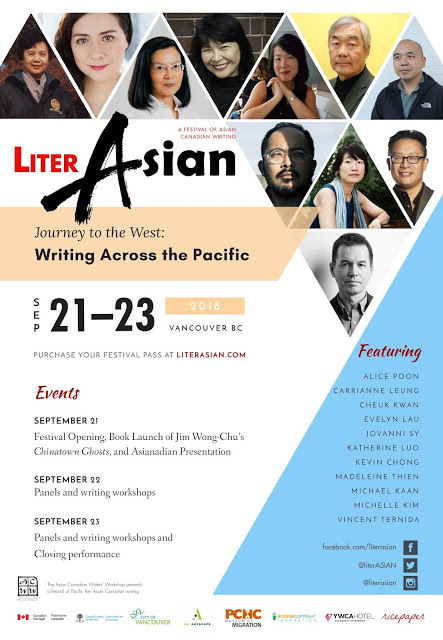 Ricepaper is Canada’s only nationally-distributed literary magazine devoted to showcasing Asian Canadian artists, writers, performers and innovators. 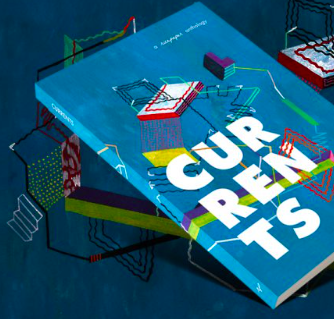 For 15 years, Ricepaper has published important work for and about Asian Canadian community luminaries such as David Suzuki, Fred Wah, Denise Chong, and Evelyn Lau while also providing opportunities for new and emerging talent to publish their work. 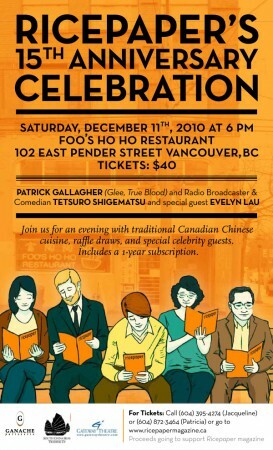 The evening will be co-hosted by actor Patrick Gallagher (Glee, True Blood) and actor, radio broadcaster, and comedian Tetsuro Shigematsu and will include an 8 course meal, special celebrity guests and a raffle draw. 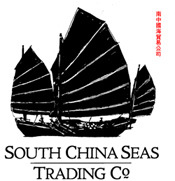 – Thai-Pantry-in-a-Box (culinary starter kit) from South China Seas Trading Co.
– Two complimentary tickets to Great Expectations – a February 2011 Gateway Theatre production.